Teddy Bear Tea Party! Discounts Apply ! 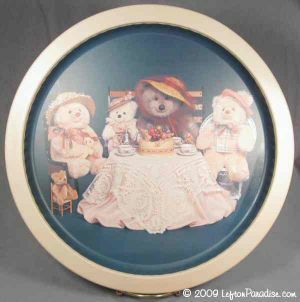 A teddy bear tea tray, suitable as a wall hanging or for serving. A lithographed picture on stamped metal, it is in unused, perfect condition. The tray is 13 inches in diameter.